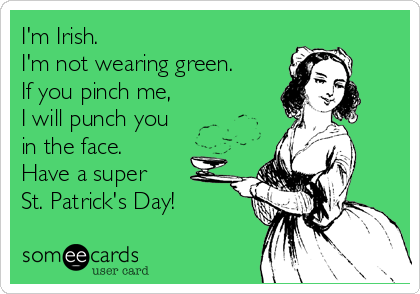 It’s St. Patrick’s Day! 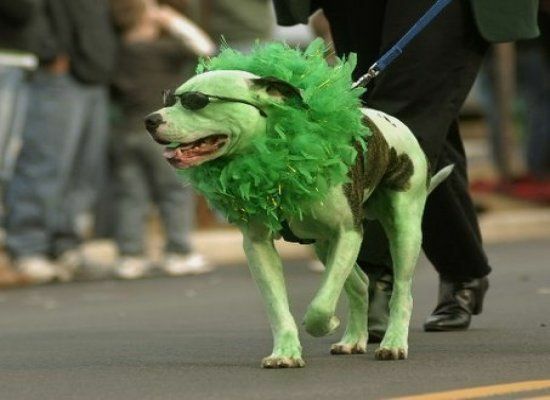 We drink green beer, we dye our rivers green (see above image), we dye our dogs green (please don’t), we colour our ice rink green (also, please don’t), we pretend we’re Irish and dress like lunatics. 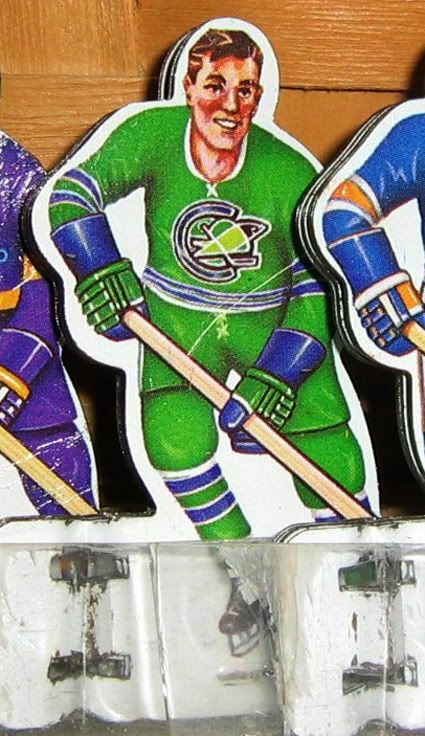 Hockey teams have been using green practice jerseys on St. Paddy’s Day the last few years (and this year is no exception), so it got us wondering…what’s the best non-kitschy-holiday-specific green jersey that’s ever been worn in the league? 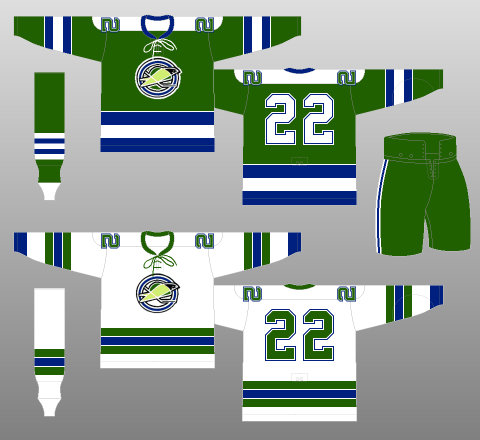 Green isn’t exactly the most common colour worn in the league (unfortunately, as it looks pretty slick), but there’s definitely been more than a few. As the luck of the Irish have it, there’s been more than five, so we’ve picked the best five. 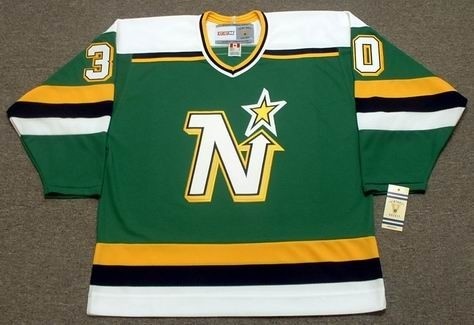 The epic, classic jerseys of the North Stars may not feature the nicest shade of green (a more olive-like green, which looks kind of vomit-like when combined with the yellow striping especially), but no leprechaun would be embarrassed to don one of these bad boys. 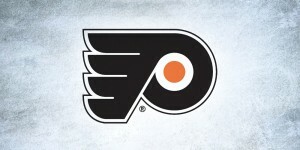 Especially the pictured 1978–88 addition, which was before they needlessly added in some black striping to the jersey. Classic striping, awesome logo and all the vintage charm of a seedy Irish pub. 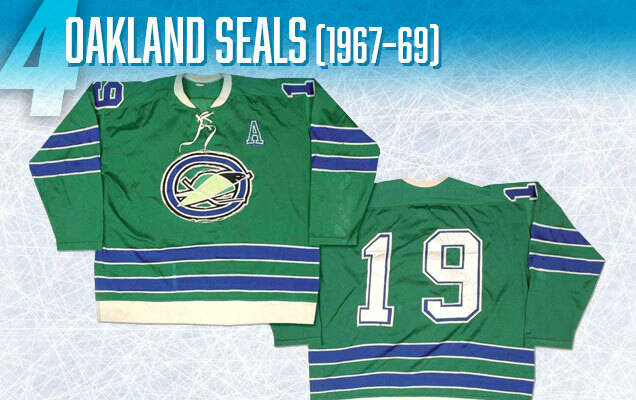 Before they were the California Golden Seals, but after they were the California Seals, they were the Oakland Seals. 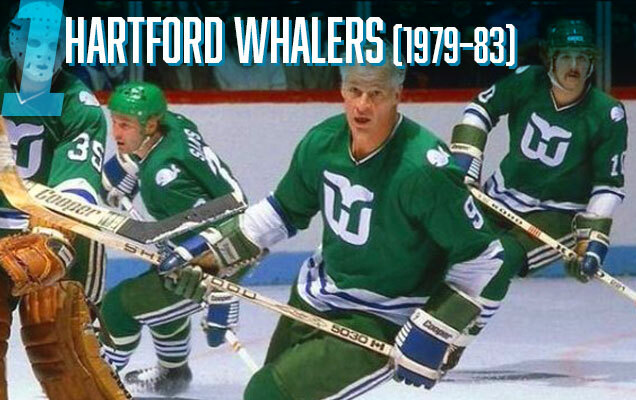 And for two seasons, they wore these awesome green gems. 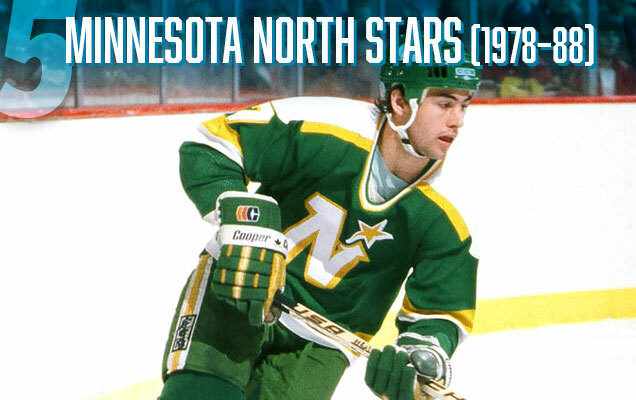 Great (and consistent) blue/white stripes on the sleeves and bottoms of the jerseys that perfectly mimicked the logo create a great balance between the green and the blue (which they unfortunately changed for the 1969-70 jerseys). And that shade of kelly green? Awesome. This jersey’s so nice, the next pint’s on them. 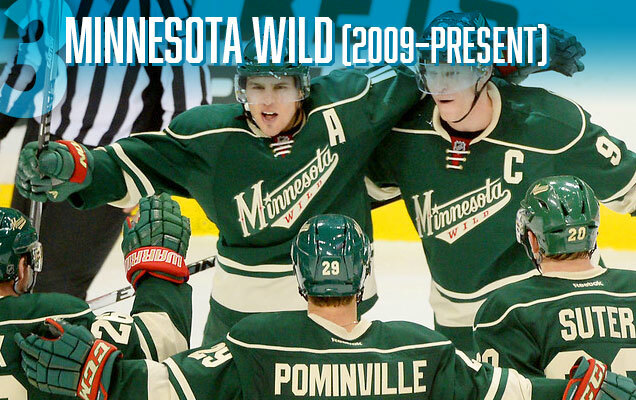 The Wild have quietly assembled one of the best jersey sets in the league, and this – their alternate jersey – is no exception. A branded forest-green dominates, with vintage cream-coloured crest and striping make for a strong and simple jersey. And that scripted crest? No team in the league has been able to pull that off as well. Nobody. Yup, nobody. Enjoy with a large pint of Guiness that took 119.5 seconds to pour. Another modern green classic! 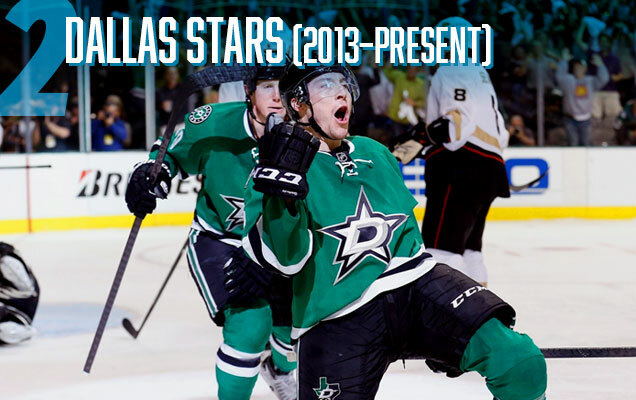 From having one of the worst jerseys in the league, to one of the best, the Stars and their shade of ‘victory green’ have officially put their uterus-jerseyed days behind them. 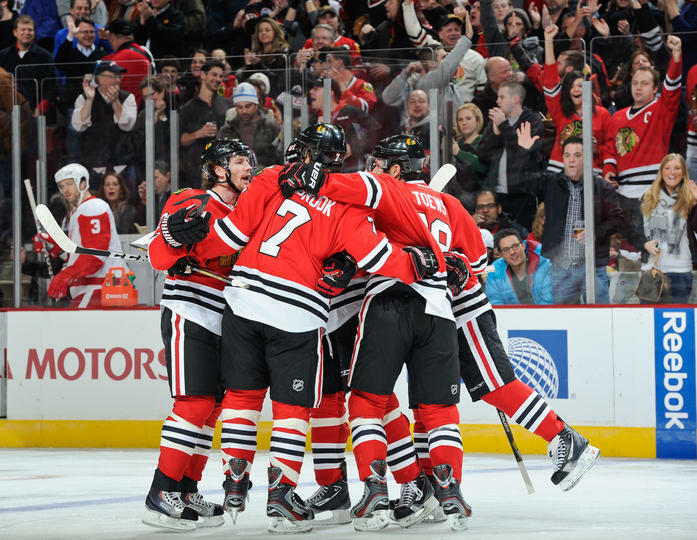 The white-and-black striped sleeves and jersey bottoms are simple and instantly classic, and a slight rip-off of the Blackhawks. But hey, if you’re going to steal, at least they stole from one of the best jerseys in the league. If you’re going to wear the Victory Green today, any victory dance should include an Irish jig in it somewhere. The classic. The best. The kelly green. 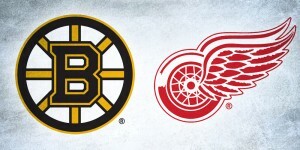 The iconic logo. The combination of green and blue (one of the best colour combos imo). The smiling whale patch on the shoulders. The white-and-blue striping. The unflinching green-ness of it all. Simple, classic, strong, iconic, everything you could ask for in a hockey jersey. 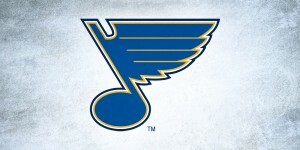 And then they dumped it for some navy blue versions. Boooooooo! But, if you see a rainbow, you might find this jersey waiting for you at the end of it. Hey this is my team at heart: IF Björklöven from Umeå Sweden.